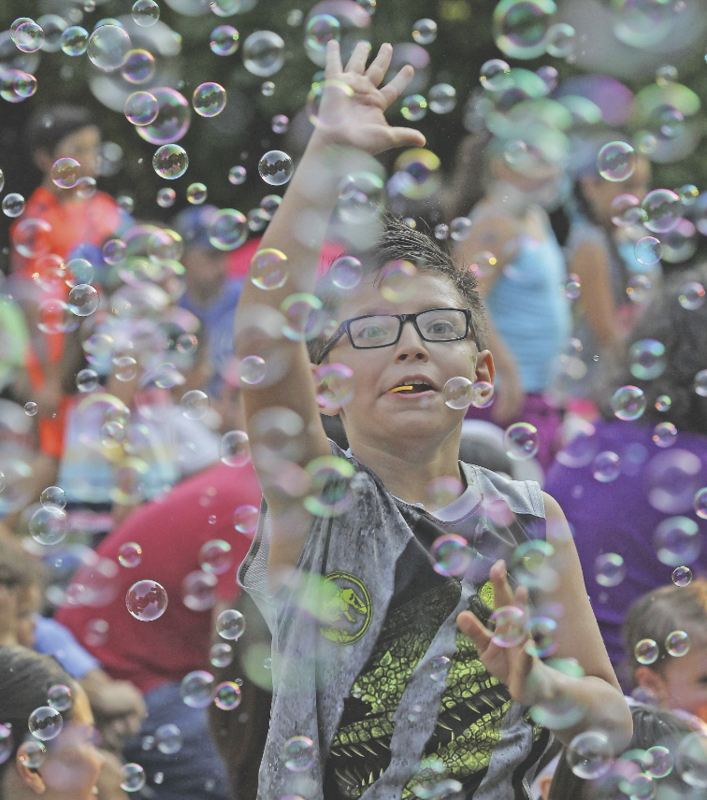 McALLEN — Hundreds of young children laughed, screamed, jumped and danced as they popped the bubbles that filled the air Thursday evening at Quinta Mazatlán. 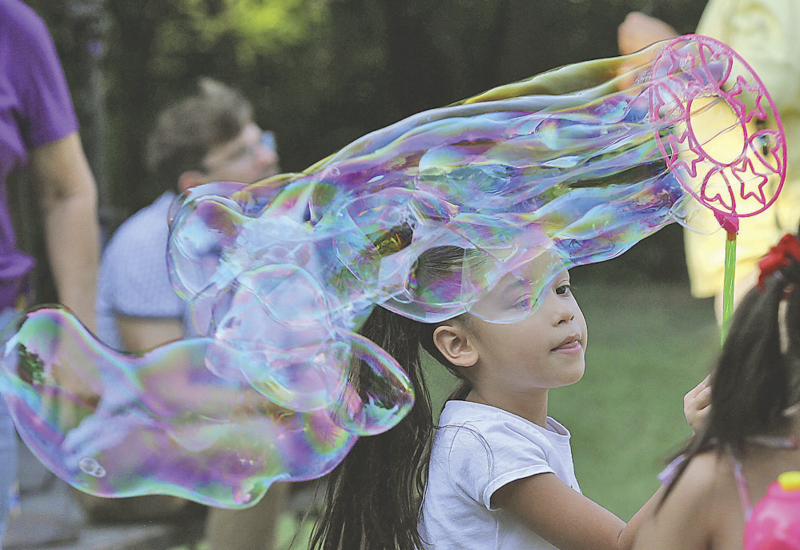 Quinta Mazatlán World Birding Center hosted its fourth annual Bubble Concert in the Park. 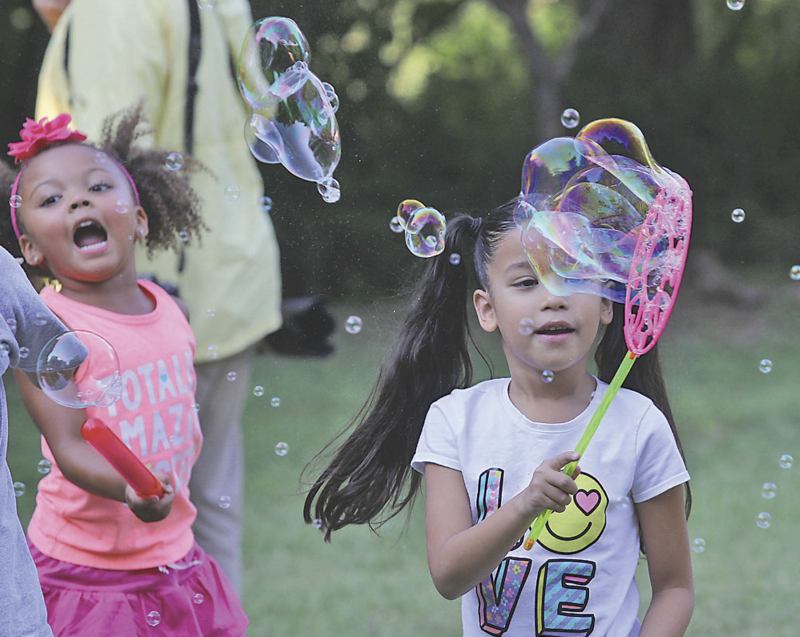 The family-friendly event featured snow cones, face painting, live music, and of course, bubbles. Leos said in its first year, the event brought it around 150 people. But it has grown every year and now it attracts an average of 600 people. She hopes the event offers local families a way to spend time together and enjoy nature. According to two moms in attendance, that’s exactly what it did. Lori Garza, who was with her husband and 1-year-old daughter Gianna, said she wasn’t expecting it to be so large but she would definitely encourage others to go in the future. Garza and Gianna sat on a picnic blanket with their friends Alyssa Ramirez and her 10-month-old daughter Allyson. Ramirez said Allyson and Gianna were on a play date. As the bubbles swirled around them, the moms took photos and videos of their toddlers bouncing to the music and sharing their snacks. Providing the live music was Joe McDermott, an Austin-based musician who has been writing and performing for children for 31 years. He has been to the Rio Grande Valley three times, all of which were for the bubble concert. He said it is usually his last show of the summer, which he enjoys because the Valley is a “nice break” from Austin. And like a kid himself, he also thinks the bubbles are fun. He described a segment he said is a staple during his performances at Quinta Mazatlán and a favorite of the children. “One of the fun things I do at every show is I say there’s a beautiful bird that flies by while we’re on the top of a rollercoaster,” McDermott said, animating it the same way he did just 20 minutes before while on stage. “I always tell the kids, ‘Don’t catch the bird.’ And they all catch the bird. “There’s always one or two kids that eat the bird, which is a horrible thing to do at Quinta Mazatlán,” he said with a laugh. Leos agreed with McDermott that keeping the kids engaged doubles as entertainment for the adults. But one of Leos’ favorite things to see at the event is the adults getting just as excited.